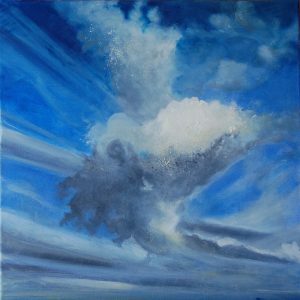 More work on the new cloud painting, which has got a lot less shark-like and a lot more whale-like, so I’ve changed the name to Cumulo Megaptera. I’ll try again for a shark for the series. This is turning into a series of sea-life clouds!